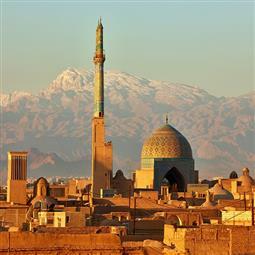 Getting Iran visa can be the hardest step to enter Iran. The procedure can be time consuming for some countries. Iranstravel will submit your request to MFA (Ministry of Foreign Affairs). In less than two weeks MFA assesses the application and sends the approval code to the agency. Now, you can go to the Iranian embassy in your country and get the visa stamp on your passport with the authorization code we have forwarded you, in less than 15 minutes. If the Iranian embassy in your country is far from your city, you can use VOA (Visa On Arrival). To be on the safe side, it is preferrableto receive the Visa Reference Number from our agency, and then at the airport receive your visa in just half an hour. Iranstravelcharges just 20 Euros to give the authorization code for you, if your application is rejected from the FMA, we will not charge you any money. For travelers who use our tour packages, getting the Visa Reference Number will be free. Please note: For British, Canadians and Americans,this process takes longer with higher charges. I confirm that all the data submitted here are correct and I will stick to the itinerary that I have submitted here or received from Iranian Safar Travel Agency. I hold the responsibility for any issue or problem that occurs due to the submission of wrong information or not following the itinerary details.